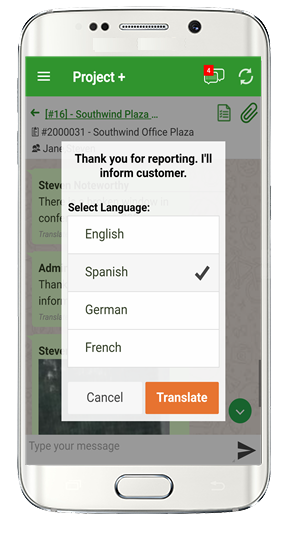 Project+ is a new and highly efficient way for employees to communicate via group messaging. 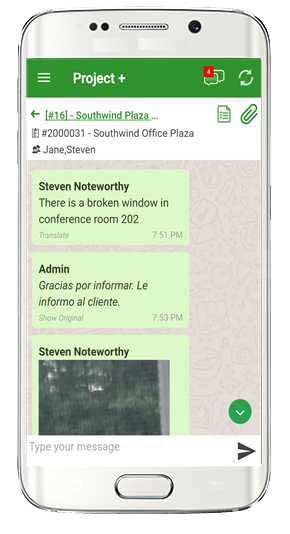 This is a game changer for any business with a significant mobile workforce, as it provides a central system where tasks, chat messages and images can be shared and reviewed. 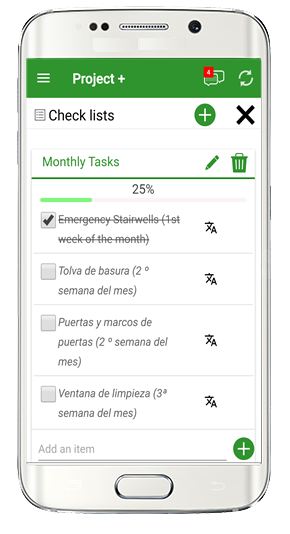 Each task can be designated, updated and checked off by members of any given team at any stage of a project. Push notifications are generated accordingly, ensuring everyone is on the same page and jobs are being completed on time. Teams can quickly interact through the team messaging feature. Create group messages so that teams can collaborate on a project, as well as directly message co-workers, in the app. Employees can take a photo on their mobile devices and upload it directly into Project+ team messaging. This is particularly useful for workers at a job site who can instantly share an image from the project with other teammates to facilitate swifter and clearer communication. Users can search message threads and access specific projects, along with all associated messages, images and checklists, making Project+ a highly efficient project management tool. And it's already included in your existing GPS-enabled time tracking app with Punch Plans 1, 2 and 3.